by Susan T. Dinnocenti, Ph.D. Healthy People 2020 is a U.S. Department of Health and Human Services 10 year initiative focusing on health promotion and disease prevention, in other words, a Quality Life. Announced in 2010, its goals and objectives are a product of stakeholders from every walk of life, who want to lessen the growth of preventable disease. Chronic disease accounts for 75% of the nation’s health spending while heart disease, diabetes, and cancer take 7 out of 10 American lives each year. The human cost to our communities, businesses, and families is immeasurable as individuals become less productive, depressed, and unable to function socially over time as they approach pre-mature death. 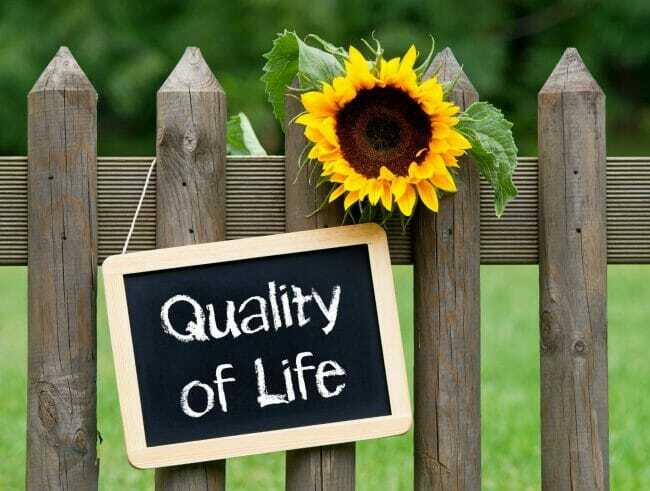 Quality and quantity of life develop through healthy behaviors across all life stages. Well-being practices focusing on integrating mind, body, spirit, and environment can lower risk of disease, illness, and injury, and increase the immune system, recovery time, longevity, productivity at work, and personal contributions to society. According to the Centers for Disease Control and Prevention (CDC), well-being is a person’s perception of life’s pieces: living conditions, quality relationships, emotions, resilience, realizing potential, and life satisfaction as it relates to home, work, and social environments. When negative emotions begin to creep into any area, well-being is threatened and signs of illness may follow. Quality of Life and reducing preventable chronic disease is everyone’s business. Healthy behaviors and new life skills must replace lifestyles of comfort and poor choices associated with food, movement, sleep, relationships, smoking, clutter, stress, working conditions, and family dynamics. The health & wellness (H&W) field is evolving with evidenced-based practices and nationally board certified coaches, credentialed through the International Consortium for Health & Wellness Coaching (ICHWC) . These H&W coaches guide clients to embrace health promoting strategies and behavior change resulting in a sustainable healthy lifestyle. Become one of the Healthy People of 2020 by contacting a H&W coach and assessing where you are on the Health & Wellness continuum. Feel free to contact me to discuss your health habits and quality of life, it is always possible to LivePositive-LiveWell. SignUP to Stay Connected on Healthy Ways of Living! How can we help you begin the Wellness Journey? Contact us for a free consultation on H&W coaching! Copyright © 2018 Live Positive - Live Well | Theme by SiteOrigin.